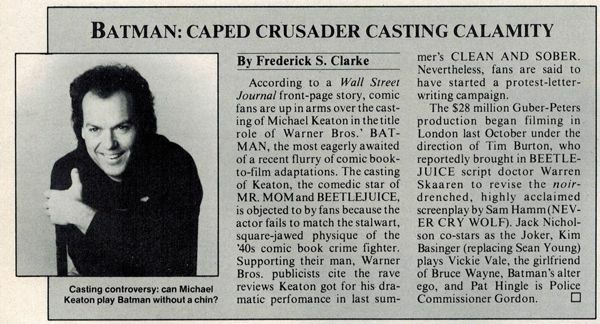 In light of the recent superhero movie casting controversies (Jesse Eisenberg...), I thought it fitting to post this small blurb from the March '89 issue of Cinefantastique today. The current backlash has NOTHING on the uproar that the Keaton announcement created back in 1989. And you know what? I think it probably set the record for the amount of crow eaten by all those doubters too... Keaton absolutely nailed it. Ha!... A letter writing campaign. 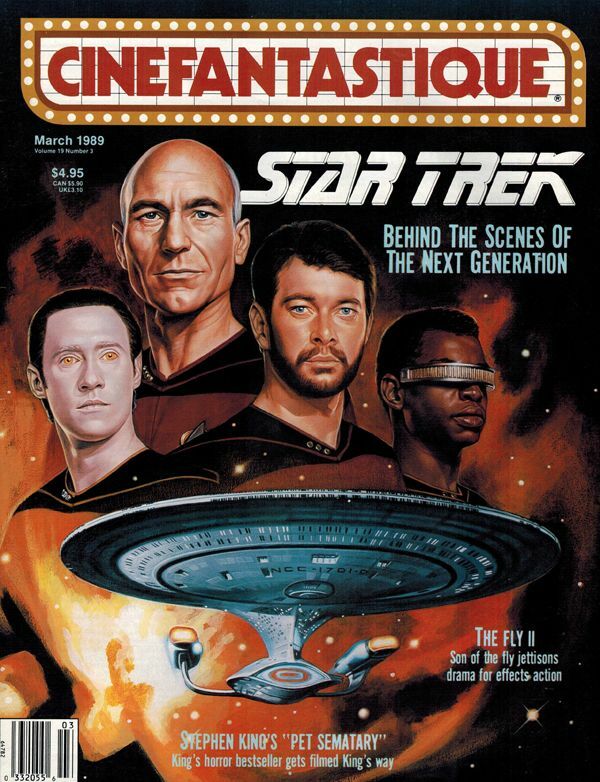 BTW, that TNG artwork is rather stunning. Oh I miss that days of actual art on covers instead of photoshopped imagery.